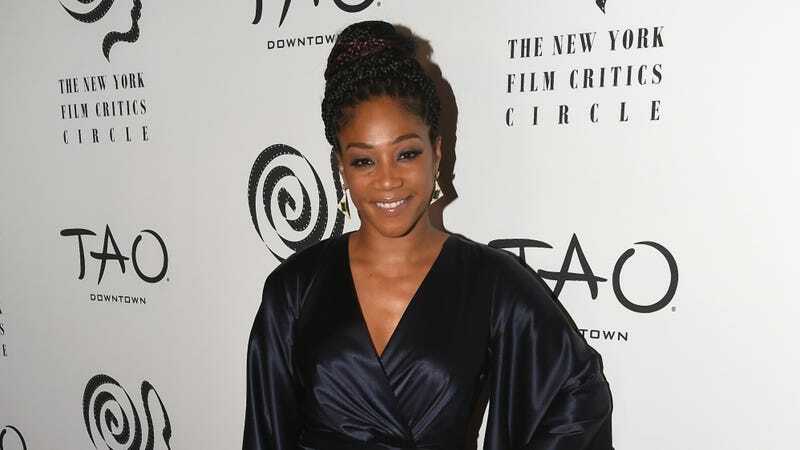 Tiffany Haddish is having a bit of a moment, thanks to her appearance in Girls Trip and her episode of Saturday Night Live, so she’s decided to celebrate by doing something that’s just for her. Or, rather, it’s just for her and Groupon, which Haddish is apparently a huge fan of. According to Deadline, she’s been named Groupon’s new spokesperson, which means she’ll be appearing in a series of new ads—including the company’s first Super Bowl commercial in seven years. Groupon says that Haddish is “in the top 1 percent of most frequent Groupon purchasers,” and in a statement she noted that she has already “been speaking out for them for years” and is practically their spokesperson already. She also noted that she’s “invested lots of money into buying Groupon deals,” so she might as well get “an even bigger return” on her investments.